Order in the next 1 hour 9 minutes for delivery on Monday, April 22. 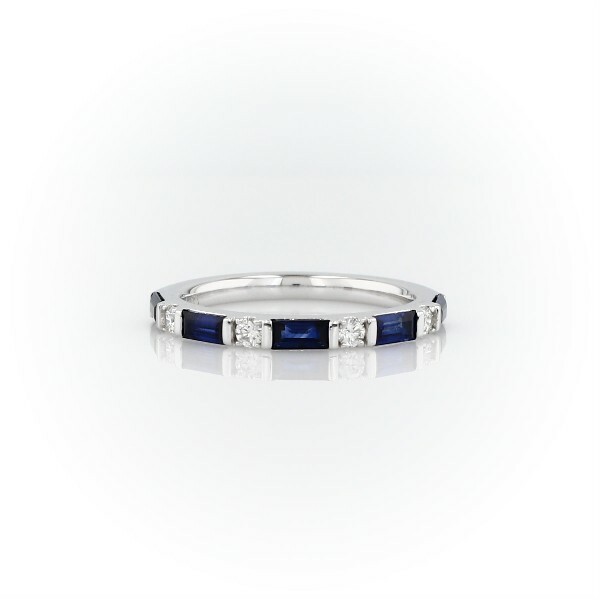 Brighten up an anniversary or any special occasion with this brilliant and fashionable gemstone-studded 18k white gold band. Five baguette-shaped sapphire gems alternate with four round-shaped diamonds, delivering beautiful blue and clear sparkle at every turn.